Japanese: Fate/kaleid liner プリズマ☆イリヤ ツヴァイ! The North American BD/DVD releases from Sentai Filmworks do not include the 2nd and 4th specials. Well, since after getting into this article I realized there were absolutely no reviews I automatically thought, "Um.., maybe I should be the first one to do so", but I then remember how annoying is to have users on the Internet using the opportunities to let out general opinions regarding a product as a whole, in this case with anime/manga/light novels (and any other otaku innuendo I forgot) I've seen many users come to this articles about specials for anime thinking "Oh, since a lot people already commented on Noragami or Naruto.., maybe I should post my review for the whole franchises in this ova, that way in the future tons of users will pay attention to me", that's got to stop. 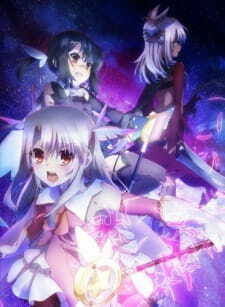 P.S, If you're looking for an actual review on such specials, well.., it's a goddamn collection of short stories, nothing worth noticing, except for some characters getting more screen time that you'll love if are a fan of the slice of life aspect of Fate Kaleid, and I mean slice of life because there's no way you're getting any "Alter Saber" or "Kid Gilgamesh" here, although there's Bazett though.